With natural gas prices trending downwards—and remaining well below their high averages seen throughout the early 2010’s—the industry is paying closer attention to cash costs for LNG operations. With half of LNG operations looking at cash costs of over US$5/Mbtu, it is worth looking at how producers can—or in some cases, cannot—reduce their costs and remain competitive in the market. The low-end of AME’s cash cost curve is held by Rasgas LNG 1 and 2, both located in Qatar’s North Field and owned by Qatar Petroleum and ExxonMobil. The Rasgas LNG terminals have a combined capacity of 28.5Mtpa, and nominal costs well below US$5/Mbtu. Compared to most operations, however, shipping makes up a far larger part of their costs—in some cases, such as with Rasgas 3, almost 50%. In fact, many operations in the lowest-cost first quartile pay a significant percentage of their costs as shipping. This may in part be because of lower shipping volumes contributing to slower efficiencies of scale and thus higher per-thermal-unit costs, and partly as their contracts may be CIF or CNF, rather than FOB. There are very few operations that appear genuinely at threat of sustaining cash costs above average prices in the following years. Indonesia’s Donggi-Senoro LNG export plant may be at risk, being the operation with the industry’s highest nominal cash cost operating in a region with steadily lowering prices. While its cash cost looks to have lowered towards over US$9/Mbtu for 2019—and may fall to just above US$8.5/Mbtu during 2021—Indonesian LNG prices are moving towards the US$8/Mbtu mark, and composite Asian LNG spot prices have fallen towards US$6/Mbtu: a less than ideal balance. 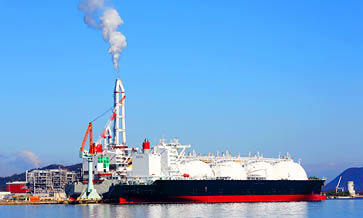 Indonesia has lowered its total LNG export guidance for 2019, perhaps hoping to wait for prices to increase before increasing production.